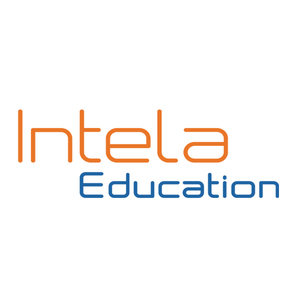 Intela Education offers a full-time, 4-day data science course in Los Angeles and San Jose, California, and Calgary, Canada. This hands-on course covers the fundamentals of data science, Python, machine learning, artificial intelligence, Apache Spark, and more. Intela Education’s goal is to provide machine learning and data science expertise to students from across the globe to help nurture top talent and create opportunities for collaboration. During the course, Integrated Technologies Laboratory (Intela) provides students the completely free opportunity to use cutting-edge platforms for all computing needs. 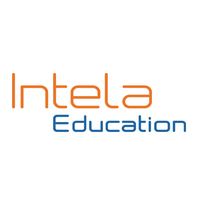 Applicants should be comfortable programming in Python and must complete the Python 101 course provided by Intela Education. Welcome to the four-day Cognitive Class Data Science Bootcamp! This is an intensive hands-on bootcamp, where you can learn the advanced topics of data science from IBM data scientists. You will learn machine learning, Deep Learning, Big Data, and Apache Spark. You will have a chance to apply your new skills to many finance-related projects. What you will achieve at the end of the bootcamp: An understanding of data analysis, machine learning, Apache Spark, and deep learning techniques. Also libraries such as Pandas, Sickit-learn, and TensorFlow. All the materials are delivered through hands-on sessions. You are either already comfortable programming in Python, or you have successfully completed the following free online course: Python for Data Science (https://courses.bdu.intela-edu.com/courses/course-v1:CognitiveClass+PY0101EN+v3/about). Welcome to the four-day Cognitive Class Data Science Bootcamp! This is an intensive hands-on bootcamp, where you can learn the fundamentals of data science from data scientists at IBM. You will learn how to use the popular Python programming language for data analysis and data visualization, we'll introduce you to machine learning, AI, big data, and Apache Spark. You'll have a chance to apply your new skills to on data science projects. What you will achieve at the end of the bootcamp: An understanding of data science, machine learning, and deep learning techniques. Data cleaning and pre-processing. Data Visualization. Python, Apache Spark, TensorFlow. In just 4 days you will gain practical Machine Learning, AI, Deep Learning, Big Data knowledge in our in-class training led by IBM’s Cognitive Class professors. What you will achieve at the end of the bootcamp: Practical knowledge of Data Analysis, Machine Learning, Apache Spark Deep Learning techniques and libraries such as Pandas, Sickitlearn, and TensorFlow. All the materials are delivered through hands-on sessions to help you apply your new skills to on Data Science projects immediately. An email with these details has been sent to Intela Education. You've already applied to this scholarship with Intela Education.